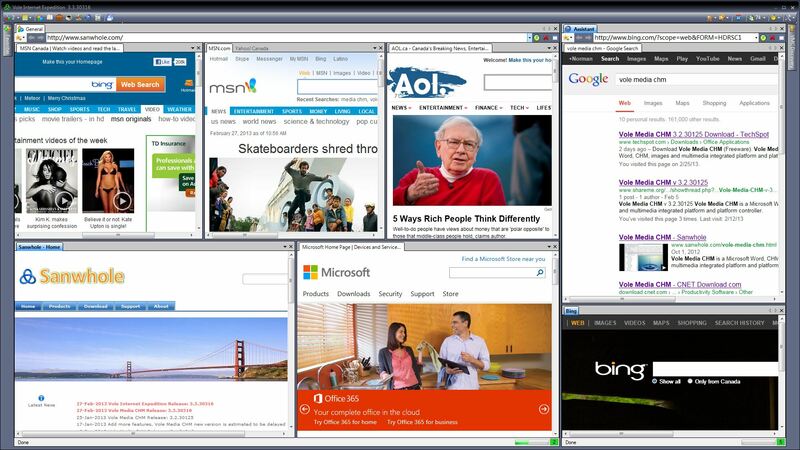 Vole Internet Expedition is a useful application that was especially designed to provide you with a means of visiting your preferred webpages and easily arranging tabs inside the main window. Vole Internet Expedition is a free scene reproduce internet browser collection controller, a faster and more graceful way to browse the web.We call page collection as Explorer, Explorer collection as Explorer Project, Explorer Project collection as Vole Internet Expedition. We call pages and page docking position reproduce as Scene Reproduce.We call find, download and preview Vole Media CHM media library in web page as VMC Discovery.